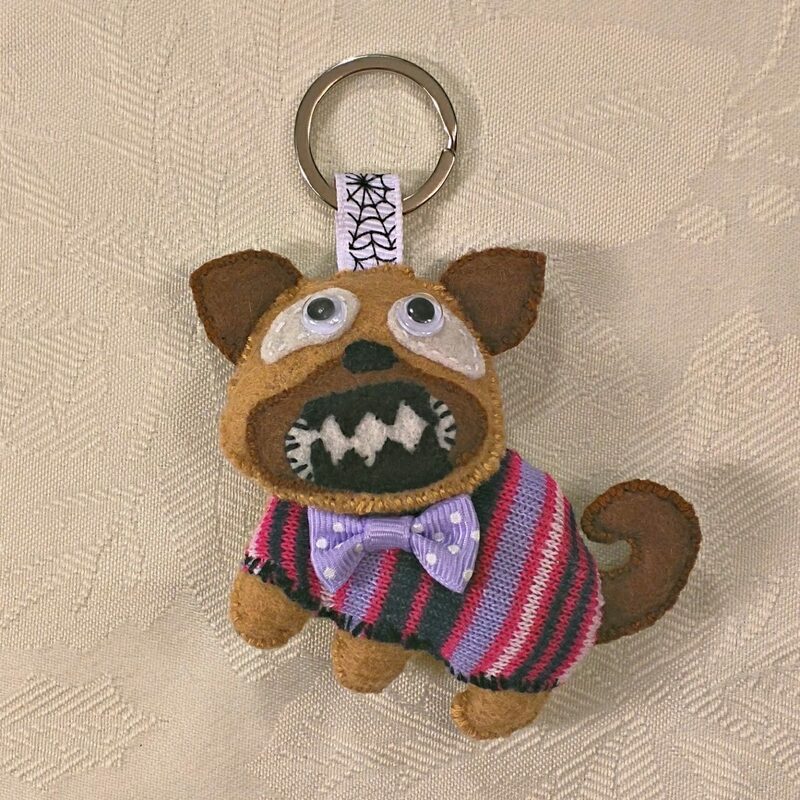 This brown dog key charm is made from felt and decorated with rhinestone stickers and a ribbon. The dog is wearing a hand knitted sweater and a bow tie. A metal ring is attached to the charm so that you can attach the charm to your keychain or a handbag. This animal charm measures 4 inches (10 cm) in height and 3 1/2 inches (8.5 cm) in width. The dog charm is large enough to be noticed but it is small enough not to make it uncomfortable to when attached to the keychain or a hand bag.